Hollywood has a long history of making Bible-based movies, including epics by Cecil B. DeMille and John Huston; Italian directors Pasolini, Rossellini, and Zeffirelli; American Martin Scorsese, and Australian Mel Gibson. Broadway musicals have also been made into “biblical” movies and videos such as Jesus Christ, Superstar and Joseph and the Amazing Technicolor Dreamcoat . 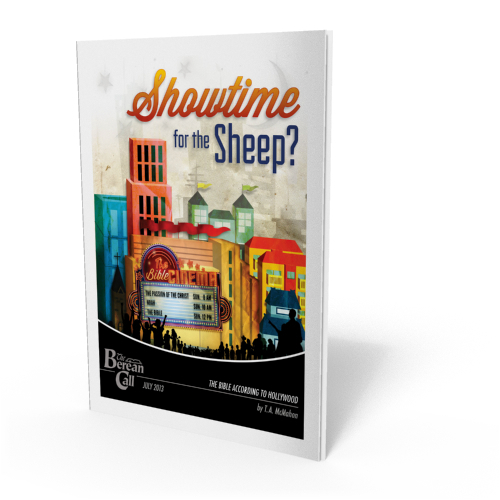 Smaller productions abound including the Visual Bible’s Matthew , Acts , and The Gospel of John , the TV presentation Judas , Campus Crusade’s The Jesus Project , and Johnny Cash’s The Gospel Road . Then there are upcoming movie epics with proven box-office stars. Noah , for example, features Russell Crowe and Anthony Hopkins, and there are other offerings planned by two major studios. Warner Bros. and 20th Century Fox are planning productions on the life of Moses, with Steven Spielberg being sought to direct one of them. Randall Wallace ( Braveheart, Secretariat ) will direct the upcoming film version of the New York Times bestseller Heaven Is for Real (see May 2011 feature article ), which, although not a biblical story, claims to give the first-hand experiences of a young boy who visited heaven. It seems that Hollywood has been attracted to the Bible more than ever, thanks in large part to the financial success of Mel Gibson’s The Passion of the Christ . The History Channel’s recent 10-hour miniseries titled The Bible did nothing to dampen the ongoing enthusiasm as it broke viewer records, making it “the most-watched cable entertainment telecast of the year.” It played to more than 13 million viewers. Many Christians might conclude that much of the interest from secular entertainment companies is reason to rejoice. Of course, that would prove to be a hasty conclusion, especially for those who would call themselves biblical Christians. ). The point of all those verses (and many more) is that they are a support for a biblical Christian who believes in the supernatural accuracy of the Scriptures. God’s claimed attributes of omnipotence and omniscience support His ability to produce a book that is without error—that is, if the claim is true. We believe that the claims of God in the Scriptures are indeed true and that they are supported by the amazingly detailed prophecies that constitute nearly 30 percent of the Bible (see TBC 11/01 ; 6/09 ; 7/09 ; Q&A 3/04 , etc.). Prophecy is the astounding device that God uses to verify that He alone is God and that He alone knows the future. In numerous chapters of the Book of Isaiah, God declares His sovereignty, challenging the worshipers of the idols and false gods of the pagans to ask their gods to produce accurately fulfilled prophecies. They can’t—although down through history there have been continual bogus attempts (fortune tellers, crystal ball gazers, wizards, astrologers, psychics, channelers, etc.) to prove that the God of the Bible has made a false claim regarding His uniqueness. Preferences for various Bible translations are issues of controversy among many Christians and are beyond the scope of this article, except in principle. In terms of scriptural accuracy, however, few would disagree that a literal translation would be the most objective and therefore the most accurate. Literal versions rely on prayerful biblical scholarship familiar with the most accurate data in translating the Hebrew and Greek words into English (for English Bibles). Furthermore, they are far less subjective, meaning they do not involve the personal biases of what men think a verse should say. The most popular Bibles today lean to the subjective. These would include dynamic equivalent versions, which feature the personal opinions of a translation committee as to what the sense of a verse is rather than a literal translation of the terms. More subjective yet are paraphrase versions—those that are based upon the ideas of an individual in declaring what a verse says and means. As one can clearly see, in the slide from a literal translation to a paraphrase version, the movement is from the objective to the personally subjective , and from God’s words to man’s suggestions, opinions, and guesses. Considering the blasphemy (“blasphemy” meaning a distortion of the character of God and His Word) of The Message , one might think that’s as bad as it could get in terms of inaccurate Bible versions. Yes and no. It may be the worst thus far (it’s used by more than 10 million evangelicals), but in terms of overall adverse influence, no written version’s effects can compare to the damage done to the Bible when its content is translated to the silver screen or television. Those numbers of viewers are incalculable, and the effect has been devastating beyond measure. Hopefully, most who are reading this are getting the picture (pun intended). If not, I recommend Showtime for the Sheep? (see resource pages), which gives many more reasons why much harm is done when attempting to translate the Bible visually. This brief article will focus primarily on the necessity of biblical accuracy. ). A few such productions try to avoid some of the translation problems by incorporating only those words that are found in a particular Bible version. This is greatly misleading because it gives the false impression that the production is more accurate. More accurate than what? A movie is, first and foremost, a visual medium. When a person exits a theater after watching a powerful movie, I can almost guarantee that it will be the images that he will leave with, not the words. 4) “Biblical” movies are an assemblage of false images and scenes. Not one frame is accurate. Yet The Passion of the Christ was lauded by many highly regarded evangelical leaders as “the most accurate biblical movie yet.” Yet ?—as if the film medium were capable of a progressive movement toward truth? No! Suppose that I were to watch a video by someone who claims that he has produced a documentary featuring my family. After watching the video, I tell him that he has gotten a few things right but that everything else is wrong: yes, my wife’s name is Peggy; no, she doesn’t weigh 300 pounds. Yes, I have five children; no, they are not all girls. Yes, my kids are excellent athletes; no, they are not on the synchronized swimming team. I’ve been told all too often that my concern for accuracy misses the fact that God can “use” these movies. 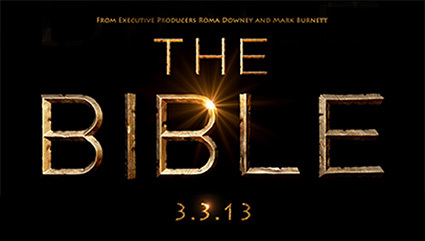 Some have said, “Admittedly there are problems, but…but…the Lord can use a movie to get people interested in reading the Bible,” which, by the way, was a stated goal of the History Channel’s The Bible . Should I likewise conclude that the inaccurate documentary of “my family” might get some people interested in knowing my real family? Would they be disappointed that my kids are all very good runners but that my three sons are not huge fans of the “sport” of synchronized swimming? What happens when the multimillions who might be motivated to read the Bible because of all the Hollywood drama, effects, dialogue, and compelling music realize that it’s not in the “book version”? 5) There are many more aspects unique to the medium of film that work against the translation of the Bible into that means of communication. Through this art form, one is attempting to convince the audience that what they are seeing is believable. Shooting a scene in the place where the actual biblical event took place may help its accuracy, but often, if that location doesn’t quite satisfy what the film director believes an audience will accept, then it’s “on to a more ‘believable’ location.” For example, The Passion of the Christ , featuring Christ’s crucifixion in Israel, was shot mostly in Italy. 7) Finally, the problem isn’t only for the lost worldwide, but it is also a stumbling block for many evangelical Christians, even those with a reasonable amount of biblical discernment. I spoke at a conference about a year after The Passion of the Christ had its theatrical release. As I sat chatting with a group of young adult believers, Mel Gibson’s movie somehow became the topic of our conversation. I listened, somewhat uncomfortably, to their glowing praises of the film and wondered how I might make an important point without seeming to be “preaching” to them. Then the thought came to me, Why not give these somewhat biblically literate Christians a Bible quiz of sorts? Having seen the movie a couple of times and written a book on the subject, it was easy for me to describe eight scenes in detail. The quiz part was, “Tell me which of the scenes are found in the Bible and which are not.” The consensus of the group was that five were biblical and three were not. To their shock, they only got three correct; all eight were either from Mel Gibson’s movie-making mind or the mystical nun’s book ( The Dolorous Passion of Our Lord Jesus Christ ) to which Gibson had looked for more content in creating his script. I have great concern for our upcoming visual generation. Yet the lack of discernment continues to abound. Here is a list of some of the advisors/endorsers for the History Channel’s The Bible , most of whom were thrilled with the series’ “biblical accuracy” or “bringing the Bible to life”: Rick Warren, Joel Osteen, Nicky Gumbel, Luis Palau, Tony Campolo, Erwin McManus, T. D. Jakes, Leith Anderson of the National Association of Evangelicals, and Jim Daly of Focus on the Family (details of their endorsements, as well as more endorsers can be found at http://www.outreach.com/the-bible/about.aspx). CAN MEN, TODAY, BE SAVED LIKE ENOCH? The question is why do men, today, not petition to be saved like Enoch? Genesis 5:24 Enoch walked with God; and he was not, for God took him. 1.Enoch did not believe Jesus was the Son of God. Was Enoch saved? YES. 2. Enoch did not confess that God raised Jesus from the dead. Was Enoch saved? YES. 3. Enoch was not baptized in water. He was not immersed for the forgiveness of sins. Was Enoch saved? YES. 4. Enoch did not believe that Jesus shed His blood on the cross so he could have his sins washed away. Was Enoch saved? YES. 5. Was Enoch born of the Spirit? No. The Holy Spirit of promise was not given until the Day of Pentecost. Was Enoch saved? YES. Can men, today, be saved like Enoch? ABSOLUTELY NOT. Men, today, can only be saved by meeting the terms for pardon under the New Covenant; also know as the New Testament, the New Will, the New Agreement, the New Promise. Luke 23:39-43...And He said to him, :Truly I say to you, today you shall be with Me in Paradise." 1. The thief believed Jesus was the Christ. Was the thief saved?YES. 2. The thief repented. (He turn from sin and turned toward God). Was the thief saved? YES. 3. The thief did not confess that God had raised Jesus from the dead. Was the thief saved? YES. 4. The thief was not immersed in water for the forgiveness of his sins. Was the thief saved? YES. 5. The thief was not born of the Spirit? The thief did not receive the gift of the Holy Spirit. Was the thief saved? YES. WAS THE THIEF SAVED? YES. Can men, today, be saved like the thief on the cross?ABSOLUTELY NOT. Men, today, can only be saved by meeting the terms of pardon under the New Covenant. The New Covenant came into effect after the death of Jesus, on the Day of Pentecost. Hebrews 9:16-17 For where a covenant is, there must of necessity be the death of the one who made it. 17 For a covenant is valid only when men are dead, for it is never in force while the one who made it lives. MEN,TODAY, CANNOT BE SAVED LIKE ENOCH NOR SAVED LIKE THE THIEF ON THE CROSS. ENOCH AND THE THIEF WERE NOT SAVED UNDER THE NEW COVENANT. Note: The book of Acts contains several conversions that took place under the New Covenant. There is no record of anyone saying. A. I do not have to believe that Jesus is the Son of God. B. I do not have to be born of water and the Spirit. C. I do not have to confess that Jesus was resurrected from the grave by God in order to be saved. D. I do not have to be immersed in water in order to be saved. E. I do not have to repent, (Turn from sin and turn to God), in order to be saved. IN ORDER TO BE SAVED UNDER THE NEW COVENANT; WHICH STARTED ON THE DAY OF PENTECOST. YOU NEED TO MEET THE TERMS FOR PARDON. YOU CANNOT BE SAVED LIKE ENOCH!